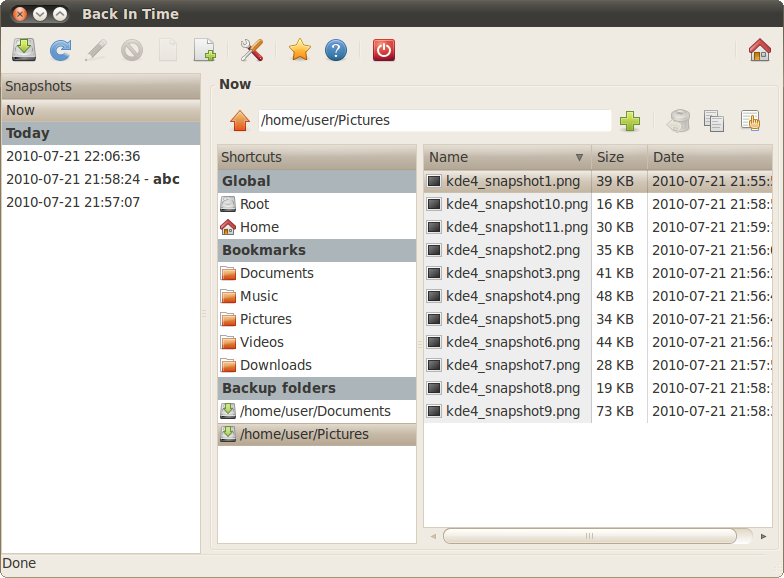 Back In Time is a simple backup tool for Linux (Gnome & KDE4) inspired by the "flyback project" and "TimeVault". The backup is done by taking snapshots of a specified set of directories. All you have to do is configure: where to save snapshot, what directories to backup, and when a backup should be done (manually, every hour, every day, every week, or every month). It acts as a "user mode" backup system. This means that you can backup and restore only folders to which you have write access. I am Ubuntu noob. I want to backup my whole computer. Can I just list Home and System as folders to backup to an external drive? Thanks. Thanks, their website wanted me to use “deb” on Ubuntu but I don’t have that command… your instructions worked.